How to wear a flared jeans? 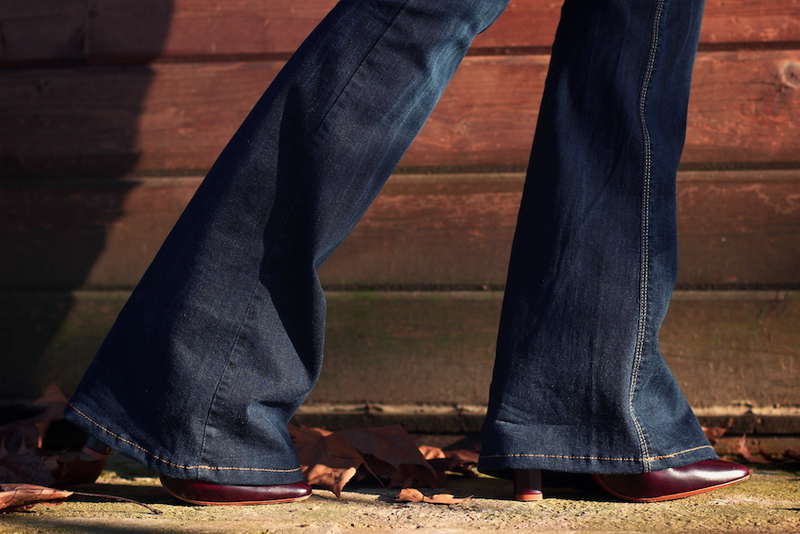 These 1970s inspired jeans are trend this season, here you are a way to wear them! Flared jeans are designed to be worn with higher shoes that leave room for them to flow, so i'm wearing platform boots. 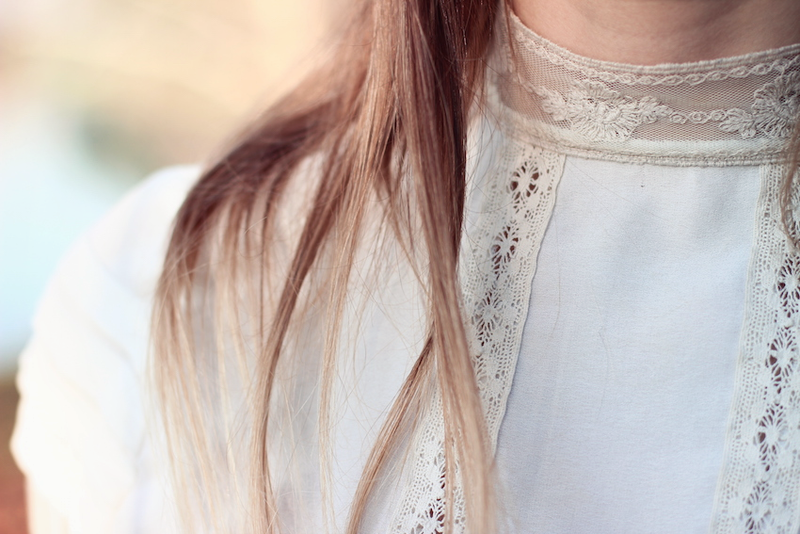 Also, the look should keep that 70’s vibe of the jeans, so the silk blouse is perfect! 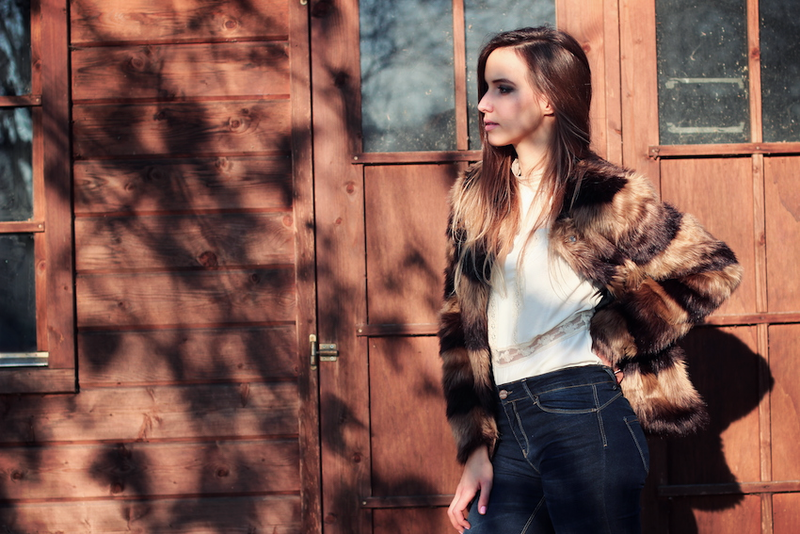 To close this outfit, my new faux fur jacket with stripes in brown. Cómo llevar vaqueros acampanados? Una tendencia en la década de los '70 que esta temporada no pasa desapercibida. Aquí os traigo una primera propuesta. He escogido botas con plataforma ya que estos jeans requieren un calzado alto; una blusa de seda para mantener el espíritu de los setenta y abrigo de pelo para darle un aire bohemio al look. Me encantan los vaqueros de campana con abrigo de pelo! te queda genial este toque seventies! me encanta la chaqueta! My name is Katrín and I'm currently taking my Bachelor in Design and Business in Denmark. For my thesis I'm researching how fashion bloggers influence purchase decisions. It would mean a lot if you could answer these questions for me.